Planning out a trailer is something quite different from normal scripts and screenplays. Usually most of the media is finished and sort of clipped and pasted together in an intriguing way; usually to an awesome soundtrack. The trailer, as everyone knows, is meant to pull in the audience and titillate their curiosity. Especially one for a game. Now, I wouldn’t call myself a seasoned gamer, but I do categorize myself as one. I have played on numerous consoles, although I do prefer Playstation or PC/Mac games. For some reason, the keyboard just makes me happy. But the point is, that I would scroll through Steam for any game sales, and the trailer would make it or break it, frankly. So, I’ve been trying to pay attention to what makes a trailer so effective, especially nowadays when a unique approach is best, or an approach that has hardly ever failed to excite. There seems to be a formula involved – particularly for action games/media. A mysterious start-up, to seduce the audience gradually, to begin to hold their attention and introduce some exposition content as to the story or plot or situation that is at hand. A presentation of the problem. Then, comes the typical rising action – following the literary witch’s hat of a plot map – increasing the tension and exposing the excitement of the gameplay and the characters; and the player’s role. There is usually a peak of action as well, and usually an abrupt stop of some sort. However, this seems to be when a change takes place. A trailer has little, if any “falling action.” Mainly because that would provide some resolution and a trailer’s purpose is to tease, not satisfy. After the media climax, there is usually another sequence of action scenes, sometimes even more impressive if there are mystical powers or awesome creatures or ships involved. This could go on for a bit, there could be other effects involved, but then following the title or info about the game and another bit to intrigue people added in, this formula seems to be widely used as a trailer base. And it seems to work, too! 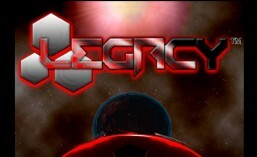 ← One year anniversary of the production of Legacy!